Email marketing is something that every single business owner is thinking of nowadays. This marketing method has come around as one of the best ways to get the word about your business and speak to your customers directly. And the research has shown that it’s super effective in keeping around loyal customers and bringing new customers to buy your products or services. However, there are plenty of email marketing automation software out there for you to choose from. Which one you choose is going to be a tough choice. 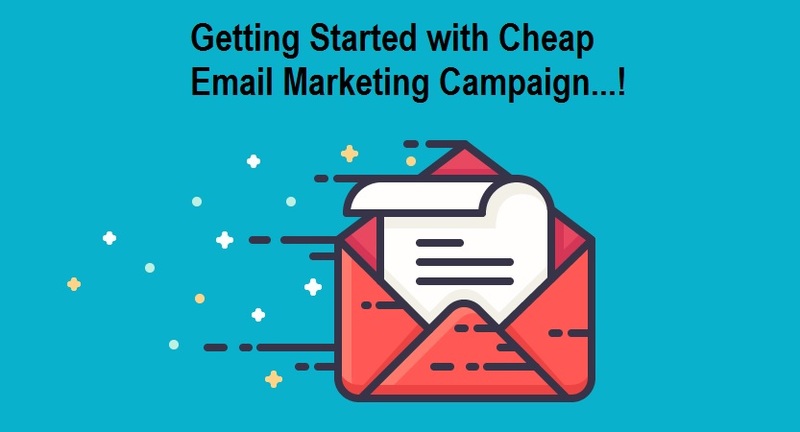 Today, you will learn How to Start Low-Budget (Cheap) Email Marketing Campaign with GetResponse software to boost your online business sales and revenue. However, thanks to our research into the options available to you, we can safely say that GetResponse is going to be the best option. Read down below to learn some more about how we came to that conclusion. When making our decision regarding the best email automation software to recommend to you, the features were another important part of the decision-making process. Sure, the cost is very important to you, but the features you actually get for those prices should be even more crucial. The basic features of any high-quality automation software are going to be auto-responders and basic landing pages. When it comes to GetResponse, you also get the ability to create workflows and add tags with their Email plan, the most basic plan. For the other plans this software offers, you get even more great features that blow the competition out of the water. With the Pro plan, you’ll also get advanced landing pages and the ability to put on webinars for any of your customers to attend. You can also track web event attendance and segment automation. In addition to all of that, you will get the necessary tools to automate your marketing to take all of these burdens off of your marketing team and allow them to focus on other important work. With the most expensive plans GetResponse offers, Pro & Enterprise, the features are even better. You will be able to get a custom domain, consulting on your campaigns, and Salesforce integration with the Pro plan. With Enterprise, you will have your own personalized account manager, a dedicated infrastructure just for your account, and deliverability consulting. When it comes to features, these are the ones that you should expect from any high-quality email automation software. The cost factor is something that’s super important for any business owner to take into account. You want to be spending your hard-earned revenue on services that are actually going to be worth your money, right? Of course, you do! 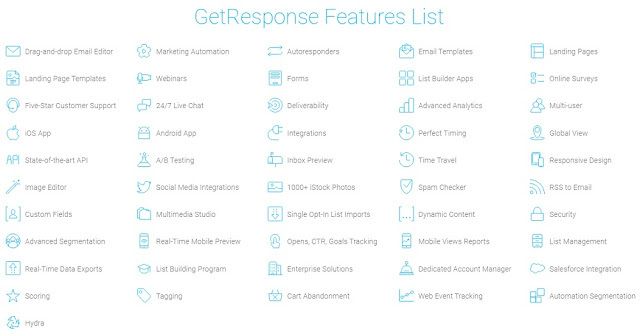 So, let’s break down the price of our email automation software of choice, GetReponse. A high-quality software is going to base the pricing on the number of contacts that your emails are being sent out to. This is the best way for these software companies to determine how much to charge you. When it comes to GetResponse, there are four different plans to choose from. If you just choose the Email plan, then the costs range from $15 per month for 1,000 subscribers to $450 per month for a maximum of 100,000 subscribers. 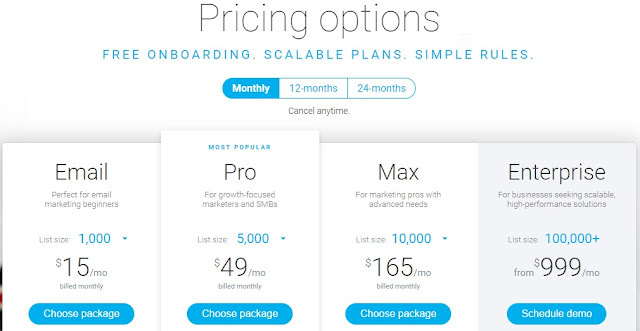 The Pro plan will cost you anywhere between $49 per month for 5,000 subscribers to $490 per month for another maximum of 100,000 subscribers. With the same logic in mind, the Max and Enterprise models are going to cost you more for the same levels of subscribers. The Max plan will range from $165 to $580 per month and the Enterprise plan will start at around $800 per month for 100,000 subscribers. Email marketing is a marketing method that so many business owners want to master to push their business to the next level. And that’s a great thing to do. As mentioned, email marketing is still one of the best ways to get the word out about your product and service. And from our experience, we can safely say that GetResponse is one of the best options for your email automation purposes.